Customize the Preferences on your Picturelife Smartloader for Windows so that Picturelife identifies and uploads new photos and videos from the folders you want. Add, change, or remove folders from this list any time you're on your PC. Add as many folders as you'd like as upload sources. Once set up, and as long as you're logged in, the Smartloader runs automatically on your PC to identify and upload new photos and videos to your Picturelife library for safekeeping. Before you start, make sure that you are logged in to the Windows Smartloader. 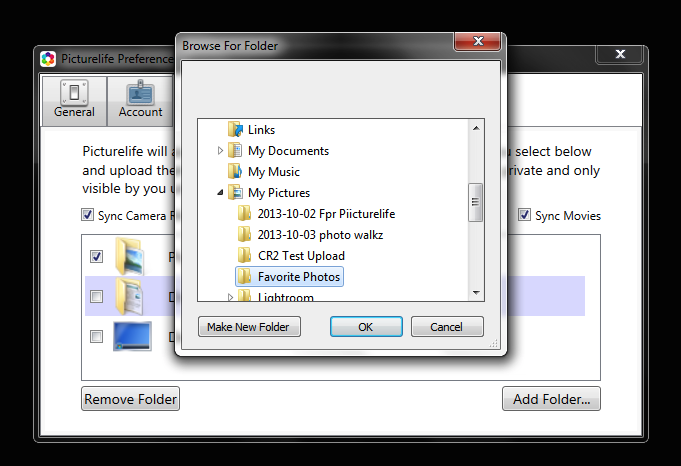 Select the "Folders" tab - this is where you can manage your upload sources. 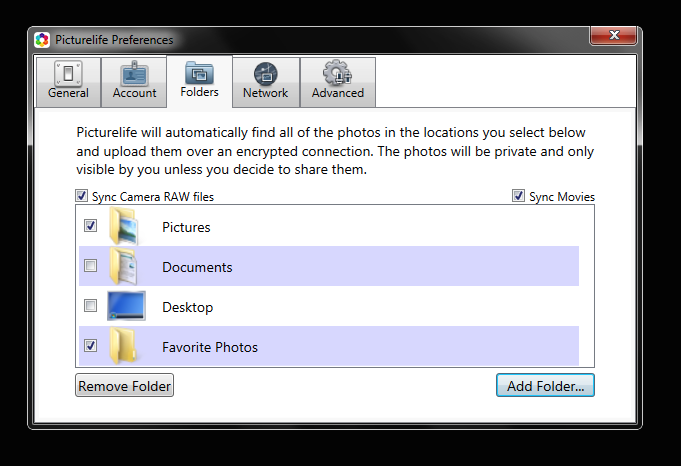 To ADD a folder from which to upload, click "Add Folders"
In the Preferences menu, double check and make sure the folder was added as a source, and that the box next to that folder is ticked. Select and highlight the folder you want to remove, then click Remove Folder to remove it from the list entirely. Both options have the same effect - Picturelife will stop uploading folders and videos from the de-selected / removed folder. 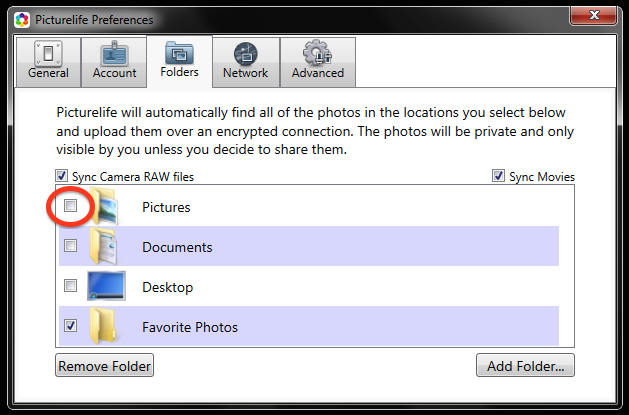 This does not say (and it seems not to) include subfolders of the selected folder. That's useful if you have an structured system with folders for years and months.